Tannus chats to BikeBiz about its new Armour insert, developed with the Aither technology, and what sets it apart in the market. 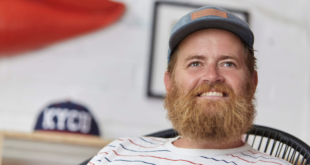 How was 2018 for the Tannus team? Since Taipei 2018, when we announced we would be launching the Armour, to say we have been busy would be putting it mildly. 2018 was undoubtedly our best year to date as we saw huge growth globally. With Messingschlager taking over the new Armour distribution across much of Europe and Moore Large in the UK, 2019 promises to be an even better year and we are incredibly excited about the Armour launch on 4th April. 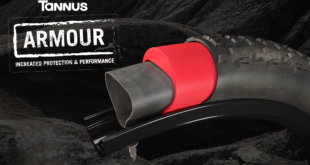 In short, the Tannus Armour is a foam insert that sits between your inner tube and tyre and acts as an additional layer of protection and vibration dampening. Whether it’s broken glass on the city roads that causes punctures, sharp rock sections on the trails in Fort William that slice our sidewalls, or pinch flats from hitting the corners of potholes or large rocks, keeping the air in our tyres is paramount to allowing us to enjoy riding. There is nothing worse than pushing your bike back, knowing others are riding. Sharp objects such as glass, thorns and nails that tend to cause such problems for city commuters and adventure touring cyclists. Sidewall protection. A massive race killer for downhill and enduro riders where the jagged rocks, flint and other razor sharp stones can shred your sidewall in a split second, no matter how much sealant you put in. Pinch flats – common to both types of rider, when you hit an object and the impact causes your tyre to press your inner tube against the rim and you get those familiar ‘snake bite’ marks that let all your air out. The way we prevent these three types of punctures is in the bead-to-bead protection the Armour gives. 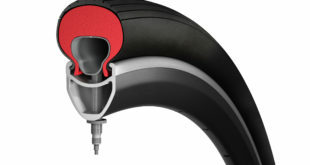 At the apex, the part of the tyre in contact with the ground, the Armour provides an additional 15mm of protection on top of your tyre (so roughly 20mm of protection in total) as well as 2mm of sidewall protection that ensures that air stays in your tyres no matter what, so you can continue to ride all day long. As a last resort, in the case your valve fails or for whatever reason you leak air, the Armour will protect your rim to the extent that you can ride home on a totally flat tyre, at up to 10km/h without damaging your rim. So no matter what, you are still riding and not pushing your bike home. While the Armour will keep you riding all day long, the ride quality is something we focused on hugely during the development stages. Vibrations from bad roads or downhill trails takes its toll and effects how long we can ride comfortably before the arm ache kicks in. The Armour has been designed to absorb a huge amount of this vibration and dissipate the force evenly. The result is a very noticeably smoother, quieter and more comfortable ride. Is there any specific part of the market you are targeting with the Armour? What makes the Armour so exciting for us in these pre launch days (official launch is 4th April) is that we have had so much interest from just about every discipline within the cycling industry. Not matter what you ride, we can all identify with needing to keep air in our tyres. Although we wish it did, city life doesn’t wait around for you to fix a puncture. Time is precious, whether you are on your way to work, heading home or escaping for a weekend in the country. Nobody wants to be on the side of the road, covered in oil and wishing they had brought their pump. The Armour gives that reassurance that nothing is going to stop you riding. 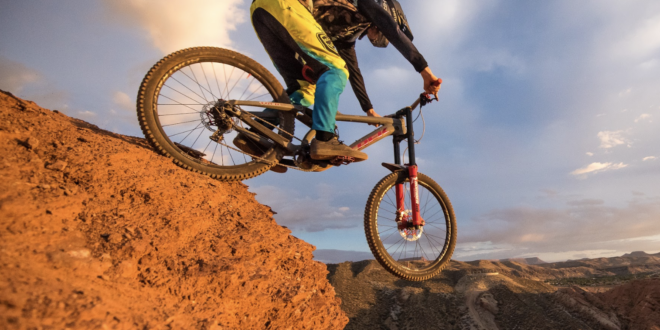 Downhill and Enduro have been a huge focus for Tannus, and our pro riders at the Moore Large/O’Neal race team have been working with us over the past months to get it right. Trying to follow DH World Cup rider Roger Vieira down the trails has been no easy feat, but his input and expertise has been second to none. 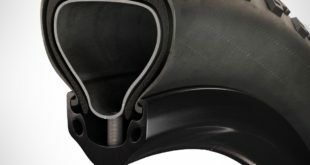 We knew that if we were re-introducing the inner tube back into an MTB world that has been moving more and more towards tubeless, we had to offer a spec that really answered the issues that DH/Enduro riders suffer with a tubeless setup: sidewalls tears, rim damage and running too high pressures to get that protection that you reduce grip. The Armour resolves these issues. It gives you built-up sidewalls to protect against tears, absorbs impact and protects your rims, allowing riders to lower their pressure way below what tubeless can offer. Roger has been riding at ~17 PSI, which is unheard of on a big rock course. We are incredibly excited that Roger will be racing on the Armour next year. What sets the Armour apart from other products on the market? Our message is clear with the Armour: ‘Increased protection and performance’. We offer riders complete protection while at the same time improving their ride. This is something no one else offers. Some products will prevent some types of punctures, but they feel heavy and make pedalling much harder and therefore make riding less enjoyable. We offer near 360-degree protection from all kinds of punctures and what’s more, we actively make the ride more comfortable and more enjoyable. How does it compare to tubeless? We hope the rate at which Downhill and Enduro riders are swapping from tubeless to the Armour is an indication of just how well the Armour compares. Most of us have been riding tubeless for a few years now, and tubeless at the time offered more protection and the ability to run at a lower PSI than running a tube did. With the Armour, not only does our level of sidewall protection offer something tubeless simply cannot, but we can also run significantly lower PSI than tubeless (~15-20 PSI), giving us more traction than ever before. This combination of increased protection with improved grip and vibration dampening is a no-brainer for Downhill and Enduro riders. Not to mention that it installs like a regular tube, so there is no faffing about with sealant. The Armour will be available to the public from the 4th April. However, we are already taking orders from distributors and dealers now. For more info, contact your local Tannus distributor (Moore Large in the UK). The Armour will retail at £29.99. Tell us a little more about your Aither technology. Aither is that name we have given to the technology behind Tannus and indeed the Armour. Its properties are totally unique in terms of its durability, comfort and low rolling resistance. Ordinarily, you would expect an insert that offers so much protection to be very dense in order to withstand the constant impacts. However, Aither has allowed us to offer all-round protection, yet be super light and comfortable. Our development team of engineers have outdone themselves with the Armour. They have focused on overcoming the issues that all us riders have faced. We are incredibly excited for riders to feel how the Armour improves their experience. What PSI do you run with tubeless? What PSI do you run with the Armour? 17 on the front and 19 on the back is the one. Why did you switch from Tubeless to Armour? Sidewall protection. I’ve lost races to tears in the sidewall. It felt different, but in a good way. It was super smooth and I was half a second faster. The grip is just endless and it’s like having a second suspension. The ride is a lot more smooth and you save a lot from arm pump. Running lower PSI: When does it help the most? On the off-camber and corners, the grip is just endless. You can trust a lot more and you don’t need to worry about the tyre burping in corners. How does it affect your climbing? Well, the Armour allows me to use a really lightweight tyre and with a really fast rolling. I just lower the pressures and I get the grip I need. Give us one example of something it allowed you to do that you couldn’t do on tubeless. It gives you more confidence when you are going through the rocks. Did you notice the weight? If so, how do you feel about it? I didn’t feel any difference riding-wise. It’s hard to tell. I used to use an insert on my tubeless wheels. You also have the choice of running a lighter compound tyre which ends up being lighter than tubeless altogether. What aspect of your riding will be most affected by it? Any race really, but in the rough tracks it definitely will make a huge difference. When was the last time you ran a lighter casing? In Revolution bike park in Wales. You can lower the pressure and have all the protection, so you can use a lighter weight tyre without sidewall protection and the Armour will provide the protection plus the grip you need by lowering the pressure. What would you say to the tube haters? I get it as I used to compete with tubeless, but if you want better grip, better protection and an overall smoother, more comfortable ride, try the Armour.